Artist Gabriel Dishaw is going to the ‘Darkside’ by making beautiful sculptures out of vintage Louis bags, except there’s a twist. Buzz60’s Sam Berman has more. For most fashionistas, the very idea of cutting up a Louis Vuitton handbag is tantamount to sartorial sacrilege. 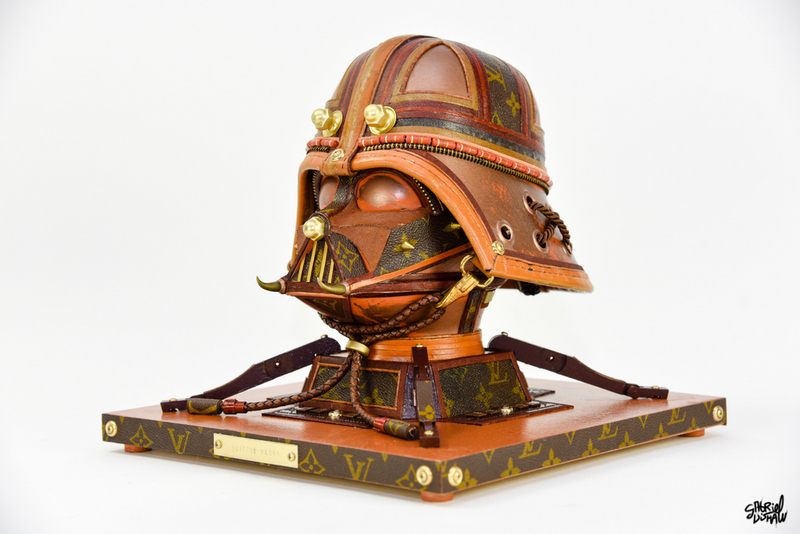 But, these upcycled designer bags are every Star Wars fan’s dream-come-true. Artist and upcycler Gabriel Dishaw is turning vintage Louis Vuitton bags into Darth Vader, Kylo Ren, and Stormtrooper sculptures. And, they’re breathtaking works of art. In addition to vintage designer luggage, Dishaw uses things like braided wire, computer chips, wire, and other electronic materials to create his intricate pieces. “I’m constantly looking for new ways to use old materials, showcasing them in a new light that is of interest to me,” reads a blog post on Dishaw’s website.